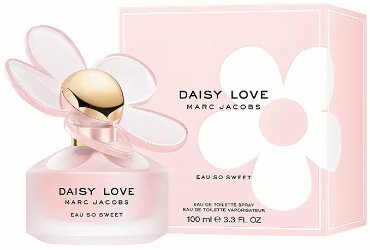 Marc Jacobs has launched Daisy Love Eau So Sweet, a new fragrance for women. Daisy Love Eau So Sweet is a flanker to 2018's Daisy Love, which was a flanker to 2007′s Daisy. Daisy Love Eau So Sweet captures the addictive and irresistible spirit of Daisy Love with an unexpected sweet freshness. This fresh gourmand fragrance creates an enticing atmosphere that truly embraces its name. Sparkling white raspberries reveal a lustrous personality while a soft floral airiness and delicate musk immerse you in the sweetness of the moment. Marc Jacobs Daisy Love Eau So Sweet is available now at Bloomingdales, in 50 and 100 ml Eau de Toilette. Is that a new variation of the cap, or am I just behind on Daisy flankers?